A forum devoted to the pursuit of all aporiai of genuine thought, in the expectation of an answer that is Greek. The interference of φύσις, in the sense in which it is made accessible within Sein und Zeit's tentative schematic of possible innerweltliches Seiendes, might be understood according to two, seemingly mutually exclusive possibilities. The first of these is the obstinacy of nature, in which something natural is zuhanden in a deficient mode: the rock that you stumble on while hiking, the snow that prevents your flight to Boston from leaving on time, etc. The deficiency here in view, namely that which yields obstinacy, is in principle the same, albeit in a manifestation less extreme, as that of the all too underscored "broken tool" of Sein und Zeit. What is characteristic of this interference of nature is that it is an interference at all by virtue of its modal deficiency; it remains totally comprehended by the phenomenal realm of zuhandenheit precisely as a negative phenomenon --one which receives its negative character only to the extent that it has been freed a priori as something zuhanden. But this negative interference seems also to coincide, and even perhaps necessarily, with a positive interference; the zuhandenheit of nature seems also to require the possibility of, if I may venture this use of the word, a physiology of zuhandenheit. When, in the course of hammering the nail which will hold up the canvas and frame whereby the rustic summer house cottage room will be illuminated anew by Van Gogh's Peasant Shoes, the metal of the hammer snaps at the thinnest part of the neck, not only has the referential totality (within which the hammer already resided and by virtue of which alone it was capable of being used) lit up as such, but nature, hidden in the hammer, has conspicuously announced itself. The lighting up of the one and the announcing of the other coincided, but they are not at all identical. What nature here announces itself in this positive interference of nature? Such nature is, to be sure, not a Naturding; even less is it any "ding an sich" in the sense of a de-worlded vorhanden ding, an individuated res extensa. Thus, the classical understanding of the artificial substance as a thing possessed of a natural substratum reasserts itself here --yet in a way in which neither that artificial thing nor nature can any longer be confused with what is vorhanden, which confusion is precisely what definitively characterized the classical understanding. Thus the "broken tool" is not simply the occasion of a loss of world that lights up what is thus lost; it is also the very assertion of φύσις itself -- its interference is the intrusive reminder of a forgotten world, or of a forgotten 'part' of the very world which has been lit up as the worin of the referential totality. This is of interest to me because, as I have already tried to emphasize, it is not that nature has ceased to be zuhanden in the broken tool or the airport delay. Whether we trip over a hidden tree stump, catch sun-glare on the windshield while driving to an appointment we are late for, snap a screw-driver in the midst of a last minute fix, or get attacked by a bear while trying to survey some wooded forest land, nature not only asserts itself and interferes, but it does so only within and through a world in terms of which, for example, we might disclose ourselves through panic, and our 'world' might go to pieces. 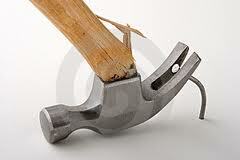 So the point is: the broken tool is not only a sign of the illuminating retraction of, but also the assertion of world. We would almost want to speak of two worlds passing by each other and intersecting on the way, were it not for the phenomenal evidence before us: the worlds are not so radically different as to not be understood as the singular world of In-der-Welt-Sein, and these retractions and assertions, it must at least be provisionally conceded, have as their common ontic site innerweltlich Seiendes. Thus the question is, how does one account for the paradoxical interference of φύσις in which world is at once asserted and rescinded? Again, one cannot say that this is reducible to the traditional distinction between nature and artifice for many reasons, but perhaps the obvious and most persistent one is the one we have already indicated: nature and artifice are not to be distinguished according to vor- and zu-handenheit. Nature is already zuhanden, but zuhandenheit is already natural --and yet not at all because there are natural things -- a collection of individual substances or 'objects' in the 'great outdoors'. The plane that you can't take to Boston might very well have frustrated your future and thus lit up the 'fact' that the world you are in also lies ahead of you, but it has done so just as much through a startling assertion of the world which I would now, imputing a different sense to the word, want to call a physiological assertion. However, the physiological assertion enacts itself just as much as it is already contained in the world, the same world capable of illuminating retraction: the sudden snowstorm not only disrupts, it also surprises. Thanks for sharing your thoughts on this topic. I have been thinking about your comments on the subject ever since your email to me after my flight to Boston for the A.P.A. was canceled. I had not extensively considered the connection between the moment of breakdown in Sein und Zeit and phusis. I am interested in the related issue of the manner in which Heidegger's thought following the writing of Sein und Zeit seems to shift to a consideration of the limits of world. The "great work of art" in the "Origin of the Work of Art" can, I believe, be considered an event which is extra-worldly and, as such, serves to structure world rather than being structured by it. You are right that there is a tendency to understand the moment of breakdown in Zein und Zeit in a similar way, but as you point out this does indeed seem a misunderstanding. Its good to hear from you, Bill. I don't even think your point of interest is a only a "related"issue ---I would go so far as it to say it is the ONLY issue --die sache selbst. It is really what I care about even in this post. However, because the path which leads towards the movement of a reversal --a reversal according to which alone a proper erfahrung of the work of art can take place --must attempt to begin in an experience of the oblivion, it is necessary that one begin with the questions and schematic of Sein und Zeit. I am intrigued by the way SZ --how shalll I say it --presciently leaves room the future arrival of a proper appearance of nature. This "leaving room" lies in a problematizing of nature which is NOT ---as I think it is usually mistaken to be --merely negative. It is, I would argue, essentially NOT-NEGATIVE. Let me try to paraphrase this non-negativity, which I have regarded above in the post as a peculiar "physiological assertion of world" into two questions, in order to tease out what seems to me to be worth consideration.You say: "Heidegger's thought following the writing of Sein und Zeit seems to shift to a consideration of the limits of world." The relevant question I want to pose here is: how are these limits revealed? In other words, are they not revealed IN the world? Is the extra-worldly, astonishingly, revealed in the world?? I would not only affirm this but also say that this paradox is already present in SZ in a manner that is unelaborated but formally indicated. Another question which is really aiming at the same thing: Does the work of art reveal the extra-worldly or does it only do so when it is preserved with regard specifically to its ursprung? Is it not the case that a poetics THAT THINKS is what is above all needed? If we can easily and formally assent to this, the real work of thinking is showing what this can and must mean, i.e. by bringing thinking to the possibility of an erfahrung. This is my first comment on your forum, on a post I find strikes at the heart of something I've been wondering about. In the beginning of Sein und Zeit, the first introduction I think, Heidegger remarks on the essential importance of properly securing the point of departure [der Ausgang/der Ansaetze] for the existential analytic. As I understand it, in making the proper [eigentlich] departure for the analytic, we immediately run into a difficulty which the departure itself accomplishes[schaffen], and/or creates [schaffen], as a fundamental structural component of the elaboration of the question of Being—the method of positively disclosing the Being of beings. I don’t have my Sein und Zeit handy at the moment, but I recall a passage wherein Heidegger establishes the necessary object of phenomenological research—that which, proximally and for the most part, does not show itself (a.k.a. the Being of beings). The effect of this leap into the preliminary concept of the phenomenon--that which does not appear (a paradoxical formulation, as Francois Courtine already pointed out in his essay)--forces a basic distinction to arise between the movement of an explicit ontological understanding and that of Das Man, the common, everyday ontic-existentiell understanding of Being, "for whom" Being "today is forgotten". Now, since Heidegger constantly strives in Sein und Zeit to demonstrate that the ontological-existential analysis of Dasein in fact founds itself on what he calls the ontic-existentiell understanding, my question for you is: doesn't this founding of ontology in the existentiell-ontic understanding--envisioned by fundamental ontology itself--suggest a somewhat impossible task for ontology? Can ontology accomplish/create [schaffen/schaffen] this question as a fact? Where is the necessity that can prevent the leap or enable it except when the leap is taken, and at that moment [Blick] seen within its turning [Kehre] (away from the existentiell) as a fundamental problem within the existentiell understanding itself? To put this in terms of your post on the physiological assertion of world: can the physiological assertion of world-- that is, a world that at at the same moment announces itself as such and in doing so sentences itself to oblivion (Dasein's oblivion, too, since as an innerweltliche Seienden, it is constituted by a Seinsverstaendis)--even be considered a paradoxical expression? Isn't just this paradox which gets rescinded in the assertion of world? I appreciate the question, thief. Let me try to be brief and clear. i devoted a post to this question a couple of years ago, but it is an important one. 1.) "Now, since Heidegger constantly strives in Sein und Zeit to demonstrate that the ontological-existential analysis of Dasein in fact founds itself on what he calls the ontic-existentiell understanding, my question for you is: doesn't this founding of ontology in the existentiell-ontic understanding--envisioned by fundamental ontology itself--suggest a somewhat impossible task for ontology? Can ontology accomplish/create [schaffen/schaffen] this question as a fact? " Ontology can never be established as a fact but only as something factical. Indeed, only when and to the extent that the facticity of the question is seized upon explicitly does the question become possible at all. Conversely, to the extent that ontology is even attempted as a factual establishment, to that same extent has its question --never mind its answer --not been made fully explicit. This is why the forgotteness of Being is realized in a twofold sense by the SZ's fundamental ontology: it is the condition for the possibility of the preparatory daseinanalytik and it is its greatest threat. The POSSIBILITY of Das Man is for the first time brought to light as a possibility --and that means that it can be owned up to and decided upon or against. To answer your question about the necessity of the question then: the necessity of the leap lies in the possibility of explicitation, and is therefore a necessity that lies hidden until this possibility is realized as such. 'can the physiological assertion of world-- that is, a world that at at the same moment announces itself as such and in doing so sentences itself to oblivion (Dasein's oblivion, too, since as an innerweltliche Seienden, it is constituted by a Seinsverstaendis)--even be considered a paradoxical expression?" But I respond that Dasein is never an inner-weltliche Seienden --any more than Dasein as such can be present-at-hand (cf. the older post on Dasein's body). This is no mere 'semantical matter', You rightly acknowledge that Dasein is itself constituted by its own seinsverstaendnis, but it must be emphasized that it is NOT constituted by this in the manner in which an innerweltliche seienden is. The difference is the key: yhe latter seinsverfassung has the possibility of becoming a fact and the former always exceeds this possibility and therby denies it, due to its facticity. The difference can be expressed in many ways and most formally and simply as the diefference between In-der-welt-Sein and the Sein of the innerweltliche seienden. The relevant subtlety that must be held onto in this very basic distinction is that the "oblivion" which you rightly understand as a consequence of the world's announcement is ALSO precisely the possibility of oblivion! That means: the oblivion, in exceeding actuality, or if you prefer, in being more than a fact (and so being factical), is susceptible to an existentiell modificiation whereby it undergoes a reversal in being explicitly seized upon and recognized. In this way the oblivion of being, unlike oblivion of some being (say, a state of affairs, some fact or other) is itself the concealed possibility of avoiding (vermeiden) oblivion. This possibility itself antecedes that actual oblivion --which is only actual factically. Countermemory...or what is now so prosaically called "Working Notes"